Avengers: Infinity War hits theatres around the world on April 27 but already it’s selling far more tickets than the last seven Marvel films combined. While I’m no superhero film fan, it’s only a fact that the past seven have been some seriously popular films so to combine their ticket sales is one serious achievement. The past seven films are as follows: Black Panther, Thor: Ragnarok, Spider-Man: Homecoming, Guardians of the Galaxy Vol 2, Doctor Strange, Captain America: Civil War, and Ant-Man. 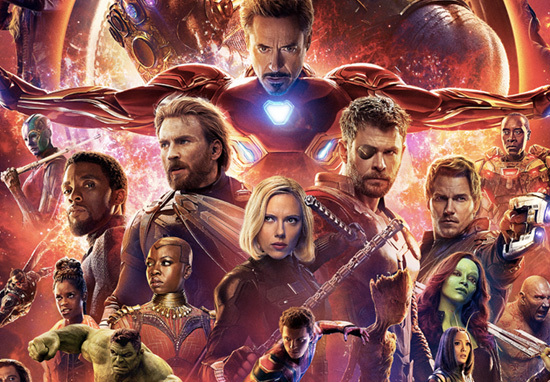 And what’s more, Infinity War still has two weeks before it is out in cinemas so that number of ticket sales is just going to keep on piling up making it one of the most successful films of all time, reports Comicbook.com. It’s quite the understatement to say tickets are selling like hot cakes. Infinity War has built up such unprecedented anticipation that it’s pacing to break records, the likes of which we have never seen before for a superhero movie. Moviegoers are rushing to guarantee their seats in advance for what is sure to be one of the most talked-about movies of the decade. Black Panther was recently making all of the headlines, one particularly memorable one is that it held an impeccable 100% fresh rating on Rotten Tomatoes for the first few weeks of its release. The movie is currently on 97% which is still one incredible feat. Energised to a thrilling extent by a myriad of Afrocentric influences, Black Panther showcases a vivid inventiveness that underscores the obvious point that we want all cultures and colours represented on screen because that makes for a richness of cinematic experience that everyone enjoys being exposed to. With dialogue that deftly explores serious questions, such as how much if anything do wealthy countries owe the poor and oppressed of the world, it draws energy from Ryan Coogler’s sense of excitement at all he’s attempting. The result is a superhero movie that’s worth seeing twice, and that is a rare sighting indeed. Based on Jack Kirby’s 1966 comic, the movie is a long overdue celebration of African culture, heritage and heroes featuring Marvel’s first ever predominantly black cast. Although we have had the odd black hero pop up in films in the past such as Luke Cage and Blade, we have never had anything quite like Black Panther before as Chadwick Boseman’s character is at the forefront of the film. For decades there has been a significant lack of representation in all cinema not just the superhero genre but Black Panther changes this. 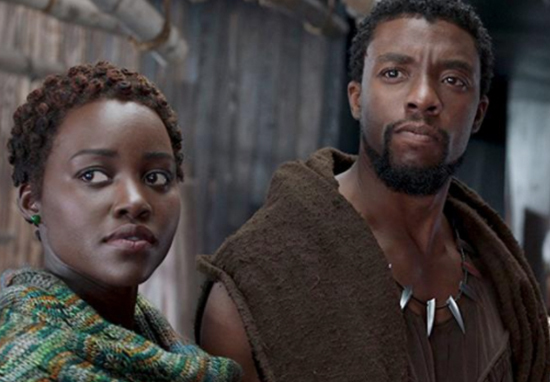 Not only is African culture represented in this film, but it is shown in a good light as Wakanda, the fictional nation in which the film is set, is a land of invention, technology and beauty – not poverty and starvation. Black Panther was one helluva movie, but will Avengers: Infinity War be praised just as much? Only time will tell. Avengers: Infinity War hits cinemas in the UK on April 26, 2018 and worldwide April 27.